When driving in Ohio, in the wintertime, your tires just might be the most important safety feature on your car. The right ones can get you to your destination safely. The wrong ones? Well, just look over in the ditch during the next storm. Winter tires really are different than regular tires. 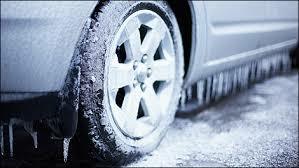 If your area regularly drops below 45 degrees, you probably need winter tires. You still need to check the pressure — once a week. You still need to check the tread, too. We here at American Heritage know that nobody wants to spend too much time thinking about tires. The good news is you don’t have to. Just a little bit of preparation, along with some routine maintenance, will keep you driving in Ohio all winter long.